During the Six-Day War in 1967, Israel captured the Old City of Jerusalem, including Temple Mount and the Western ?Wailing? Wall. Israel likewise took the entire West Bank of the Jordan River, the Golan Heights from Syria and the Sinai Peninsula from Egypt. It was the most humiliating defeat the Arab world had experienced?and a triumph for the young Jewish state. Israel had tripled its size and had reunited Jerusalem, making it the capital of the nation. Since 1967, the results of this important war have framed the developments, politics and foreign policy decisions of the Middle East and much of the world. In 1967, one of the more difficult issues for Israel was what to do with Temple Mount in Jerusalem. Ten days after the war, Moshe Dayan met with the Muslim leaders at the al-Aqsa mosque on Temple Mount. He explained that Israel now controlled Jerusalem and it had no intention of returning it; it would be the nation?s capital. However, he stated that the Muslim Foundation, known as the Waqf, would control Temple Mount. Further, he declared, Jews would not be encouraged to pray on Temple Mount. Some of the most sacred symbols of Islam, the Dome of the Rock and al-Aqsa, would be respected. In addition, Christians would need to have access to Temple Mount as well. It was an extraordinarily magnanimous act on the part of Israel. This decision by Israel was solidified in the peace treaty between Jordan and Israel, signed nearly 20 years ago: Muslims retain the exclusive right to pray; Jews and others can visit Temple Mount as tourists; the Israeli police would enforce order on the Mount. For almost 2,000 years, Orthodox Jews have prayed that the Temple, which the Roman Empire destroyed in AD 70, would be rebuilt. Although they have prayed to that end, they have been content to pray at the Western (Wailing) Wall, the retaining wall that King Herod built when his engineers built the massive platform on which the Jewish Temple Rome destroyed was built. In the 690s, on that same platform, the Dome of The Rock and the al Aqsa mosque were built, thereby transforming Temple Mount into the third holiest site in Islam, after Mecca and Medina in present day Saudi Arabia. The story of this transformation is rooted in the Islam?s conquest and occupation of Jerusalem. In AD 638, Caliph Omar entered Jerusalem in conquest and began to transform Jerusalem from a predominately Christian city into a triumphant Muslim holy city. By the late seventh century, the importance of Jerusalem to Islam was well established. Caliph Omar, the conqueror of Jerusalem, was the most venerated figure in Islam next to Muhammad. Indeed, Islamic tradition describes Omar?s (the Savior?s) entrance into Jerusalem as the conqueror as a messianic event. Like Jesus, he reached the city from the Mount of Olives and Gethsemane, entered the eastern gate, proceeded to Temple Mount, and restored Temple Mount into a center of Muslim worship. Islam was now claiming supremacy over both Judaism and Christianity. Two Christian buildings represented the centrality of Christian convictions about Jesus and of His promise to return: The Church of the Holy Sepulchre (the traditional site of the death, burial and resurrection of Jesus) and the Church of the Ascension on the Mount of Olives. Thus, the Umayyad Caliph, Abd al-Malik (685-705), built the Dome of the Rock as the key to reshape Jerusalem into a Muslim holy city. For that reason, Muslims call Temple Mount, Haram al-Sharif, the ?Noble Sanctuary.? That the Dome of the Rock is higher in elevation than the Church of the Holy Sepulchre challenged the Christian dominance of Jerusalem. Further, over the eastern and southern gates of the Dome are two inscriptions: ?The Unity of God and the Prophecy of Muhammad are true? and ?The Sonship of Jesus and the trinity are false.? Inside the Dome are inscriptions declaring, ?The Messiah Jesus, son of Mary, is indeed the messenger of God? ; ?So believe in God and all the messengers, and stop talking about a Trinity, Cease in your own best interests!? ; and ?It is not fitting that God should beget or father a child.? Finally, Abd al-Malik and his son Walid also built the al-Aqsa Mosque on the southern part of Temple Mount, which became the imperial mosque of Islam. What has changed in the fall of 2014 is that a group of Orthodox Jewish rabbis and their congregations are no longer content to pray at the Wailing Wall alone. In preparation for the rebuilt Temple, they seek to pray on Temple Mount. The numbers of those desiring to pray are growing and Palestinians are responding to ?defend al-Aqsa.? On 29 October 2014, a Palestinian attempted to murder prominent Temple activist, Yehuda Glick, which resulted in more intense calls for Jewish prayers on the Mount and for more restrictions on Muslims. The Muslim response to all of this is growing more violent. For example, Jerusalem is now confronted with attacks by ?suicide drivers,? who drive their vehicles on the sidewalk or into heavily populated rail stations to kill Jewish residents. When I was in Jerusalem in early November, one such attack occurred only three blocks from where we were visiting a holy site in Jerusalem. The recent killing of four rabbinic leaders and a policeman at a synagogue in the western Jerusalem village of Har Nor is another example of Palestinian violence against devout Jews in Jerusalem. The typical, almost daily, scene on Temple Mount is that a group of devout Jews go up on Temple Mount to pray and are met by Palestinians claiming to ?defend al-Aqsa,? which in turn are firmly put down by Israeli riot police. The number of Jewish visits to Temple Mount has climbed from mere hundreds a decade ago to some 8,500 last year. King Hussein of Jordan has warned that any unilateral move on the part of Israel to change the status quo on Temple Mount would force a review of the 1994 peace treaty between Jordan and Israel. To that end, on 5 November, 2014, Jordan withdrew its ambassador from Israel in protest. The tension and unsettledness in Jerusalem today is unlike any I have seen over the last two decades that I have been traveling to Israel. It is volatile and potentially quite incendiary. Two devout religiously passionate people?the Muslims and the Jews?are convinced that they have the right to pray on the most sacred piece of real estate on planet earth. For the Orthodox Jew, it is inconceivable that they cannot pray to their God on Temple Mount, the most sacred ground of their faith. For the Muslim, it is inconceivable that Jews would be permitted to pray on their third most sacred site that they have controlled since the seventh century. They are determined not to permit Jews to pray and will die to prevent this from occurring. These respective positions are irreconcilable. It is difficult to imagine any kind of compromise emerging about this issue of Temple Mount. 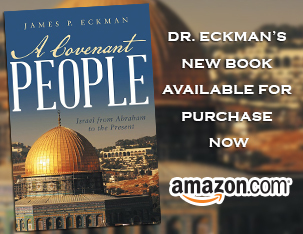 The Bible says there will eventually emerge an international leader who will temporarily settle the issue of Temple Mount. What is occurring in our lifetime right now is an indication of why the Beast of Revelation 13 (and Daniel 9:24-27) will be so effective in garnering worldwide support for his cause. The return of Jesus is getting closer, for only He will permanently settle this dispute. Come quickly Lord Jesus, come quickly. James – many thanks for your vert thoughtful insights – getting your email messages is always a pleasure.